Blackpool has been one of Britain’s most popular seaside resorts since the 1800s, with action-packed and fun-filled activities. The town was a simple hamlet by the sea for centuries until it became fashionable to visit the seaside in the Summer in the 18th century. Blackpool became much easier to reach when Sir Henry Hoghton and Thomas Clifton built a private road to Blackpool in 1781. In 1840, the construction of a railway helped to transform Blackpool into a bigger town by making it cheaper to visit. 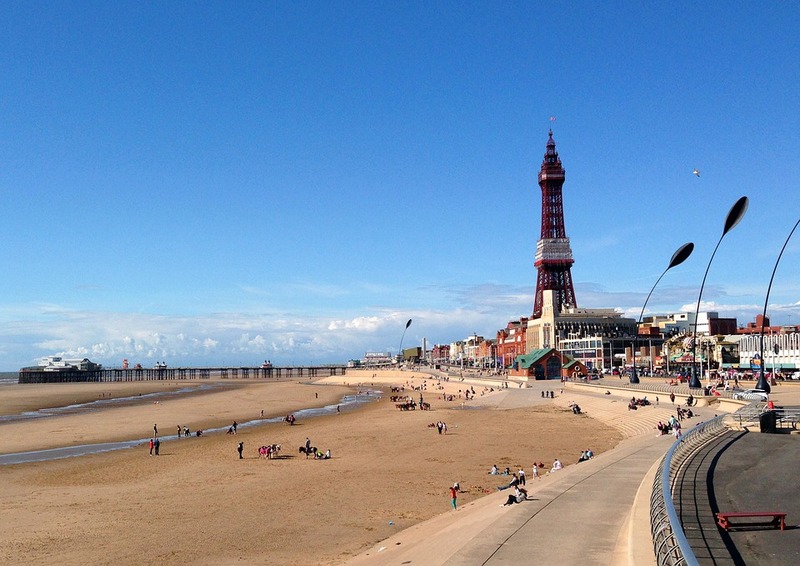 Where Did the Name Blackpool Come From? The name Blackpool was first seen in the Medieval ages. In 1602, ‘Blackpoole’ has its first mention on the baptismal register of the Bispham parish, with the first house built in the area being the ‘Foxhall’. A historic drainage channel running over a peat bog, which discharged discoloured water into the Irish Sea, gave Blackpool its name. This black pool of water was known as ‘Le Pull’ due to how the peat lands in which the stream ran through discoloured the water. ‘Black Poole’ eventually evolved into ‘Blackpool’. The stream drained Marton Mere and Marton Moss into the sea and close to what we now know as ‘Manchester Square’. In the 15th century, the settlement in the area was known as ‘Pul’. A map from 1532 calls the area ‘the pole howsys alias the north howsys’. Blackpool was the first municipality in the world to have electric street lighting, in 1879. Large areas of the promenade were wired in this pioneering use of electricity. 1885 saw one of the first electric tramways in the world being laid down on the Promenade, running from Cocker Street to Dean Street. The Grand Theatre opened in 1894, one of the first all-electric theatres in Britain. It took nine months to be built at a cost of £20,000, which represent approximately £2.5 million in today’s money. Footage from the Promenade, 1900. A skeleton of a 13,500-year-old elk was found in 1970 on Blackpool Old Road. It had man-made bone points, likely from spears, providing the first evidence of humans living on the Fylde dating as far back as the Palaeolithic era.